Well, I’m still working on The Worst Hard Time by Timothy Egan for my library book group (meeting’s on Wednesday, eeeek!!) Just too darn busy to get hardly any reading done! Not only the usual work/rehearsal stuff that naturally amps up this time of year, of course we’re trying to get our taxes done and have had family scheduled to visit in March. But yeah I’m only about 40% in… wish me luck for finishing before the group discussion! 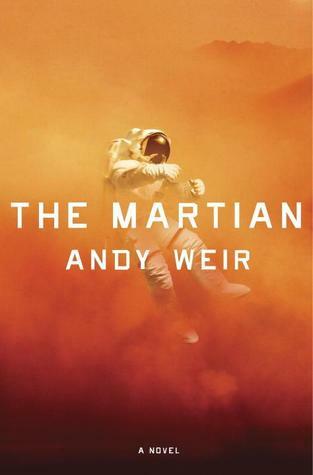 by Andy Weir this week. My husband already read it and loved it, and I’ve only read a couple of chapters… so far I’m still trying to get used to the main character’s tone and delivery, and then the “tell” vs. “show” style of the book. But, it’s a fairly easy, quick read from what I can tell and I’ve enjoyed the start. This entry was posted in books, life and tagged 2014 eclectic reader challenge, agriculture, american history, book community, history, it's monday what are you reading, literature, me, non-fiction, reading, science fiction, stranger than fiction by kristin @ my little heart melodies. Bookmark the permalink. I hope you get your book done by Wednesday 😉 Good luck! I’ve been hearing a lot of stuff about Martian, hope you dig it! Thanks! Unfortunately I don’t think I’ll make it, I have obligations every night this week after work… not much free time fore reading 😦 The Worst Hard Time‘s good, though—I know you know! 🙂 I’ll still read it all even if I don’t finish by the discussion Wednesday. Thank you! So far it’s good 🙂 I’m hoping to have more free time for reading Wednesday and Thursday. It’s Wednesday, but I think The Martian is AMAZING! And I’m reading a galley of The Bees, which is some sort of dystopian novel about bees! I ended up binging on The Martian yesterday and now I’m about halfway through already. The bees book sounds neat! The Bees is interesting. I’m not sure if I love it yet, but it’s an easy book to get through so I’ll hopefully find out today!